Although not strictly speaking by Seamus Heaney, Stepping Stones (2008) nevertheless draws its power and beauty from his voice, which permeates every page. Conceived of as a portrait by his longtime friend and fellow poet, the late Dennis O’Driscoll, this book of interviews charts Heaney’s life and work. Starting with the vivid detail of his very earliest memories, it follows his first steps into writing, eventually leading to what he called his ‘moon walk’ to the podium in Stockholm to receive the Nobel Prize in Literature. O’Driscoll’s incisive questions provide the perfect foil for Heaney’s own eloquent reminiscences, shedding light on everything from his personal relationships to the artistic and ethical challenges posed by the Troubles. 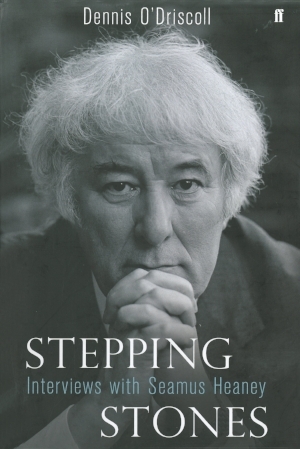 Described by Colm Tóibín as ‘a uniquely interesting book’, Stepping Stones remains the closest thing to a memoir by Heaney and, as such, is both an invaluable insight into the man and his work, and a reminder of his intelligence, humour and personal warmth.